Invest in Lego, and you could be sitting on a goldmine! It seems the humble Lego brick, with its child-taming properties and lethal underfoot tendencies, is so much more than just a child’s plaything – it could be your retirement plan. Incredibly, Lego is actually proving to be a better investment than gold or shares. If you have a house full of Lego post-Christmas, you’ll want to read this! An investigation has found if you’d invested your dollars buying Lego sets over the past 15 years rather than gold or shares, you’d have secured a better return. But before you get excited and begin pulling out every little plastic brick your children own, not just any old (or new) Lego is worth its weight in gold. It’s those sets that have been kept safe in their box, untouched, that garner the most cash. And Lego sets celebrating film franchises like Star Wars will also get you more bang for your buck. BrickPicker founder Ed Maciorowski tells The Telegraph that although Lego in immaculate, unused condition is the most desirable, there’s still value in sets that have been played with. Surprisingly, the set that has enjoyed the largest return is the Cafe Corner, which was released in 2007. 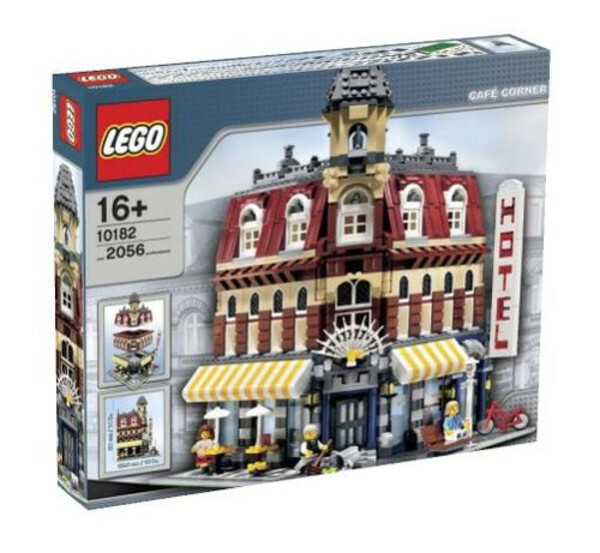 The 2000 plus piece set cost around $190 when it was released, but the retired hotel model is now worth a whopping $4000. That’s a return of more than 2000 per cent. But the real tour de force when it comes to Lego investment is Star Wars. The movie franchise makes up 10 of the top 20 most expensive sets. 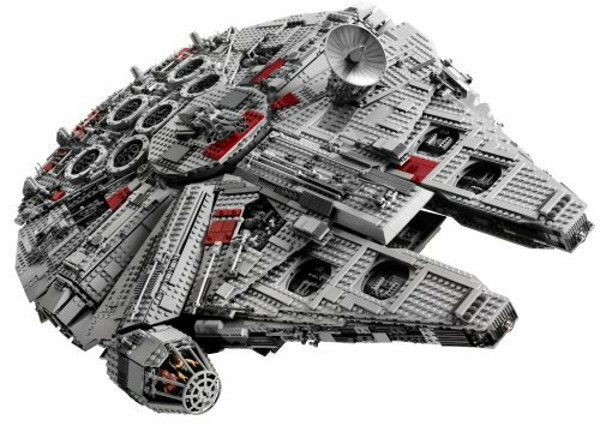 Top of the list is the Ultimate Collector’s Millennium Falcon, which was a pricey $700 in its release year of 2007, but is now worth a cool $5500. The Lego enthusiast says there are a few things to consider if you’re keen to make money from the toy bricks. If you really love a particular set and want to play with it (or the kids do! ), buy two. Play with one, and keep the other untouched. Keep an eye out for rare and limited edition sets that only have a short release time. The best Lego set investments were released after 1999, because prior to then the sets weren’t anywhere near as detailed as they are now. Keep all the parts and pieces in pristine condition – the box and instructions, and store them carefully. Hang on to those tiny Minifigs, they are also worth a mint. Ultimate Collector’s Millennium Falcon, released in 2007. Purchase price: $700, now worth $5500. Cafe Corner, released in 2007. Purchase price: $190, now worth $4000. Taj Mahal, released in 2008. Purchase price: $400, now worth $3600. Death Star II, released in 2005. Purchase price: $500, now worth $3000. Imperial Star Destroyer, released in 2002. Purchase price: $500, now worth $2800.